Revolutionizing internet usage across the country whilst expanding Sri Lanka’s broadband capacity, SLT Broadband proudly introduced fastest internet, taking the speeds up to as much as 100 Mbps. 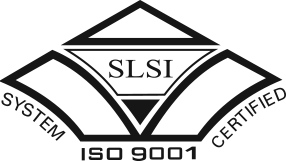 When your business need a secure web site, you need SLT. Our web hosting plans will satisfy your website’s needs, giving you an affordable, easy and fast way to get your site online. Now you can obtain Broadband service with the maximum speed of 21 Mbps in areas where infrastructure supports the higher Bandwidth. Revolutionizing internet usage across the country whilst expanding Sri Lanka’s broadband capacity, SLT Broadband proudly introduced SLT Fibre (FTTx technology), taking the speeds up to as much as 100 Mbps. SLT is once again revolutionizing Internet usage across the country, by unveiling a significant enhancement to the SLT Broadband user experience. SLT 4G/LTE connections ( Fixed 4G/LTE Technology) are available in two different packages, depending on your requirement and range from Broadband only package to Voice + Broadband. SLT is proud to introduce our latest broadband experience for our valuable customers, the first ever cutting-edge Carrier-grade public Wi-Fi network in Sri Lanka. Using SLT Wi-Fi hotspots, now you can get connected to the largest broadband network and experience the next evolution in wireless broadband connectivity through any Wi-Fi enabled device. SLT’s state-of-the art data centre offers a range of email and hosting services to suit your personal and business needs. We offer Hosting to mail server solutions to broaden your business horizons.